Adjust the sugar to your liking. And be sure to add the real whipped cream! 1. 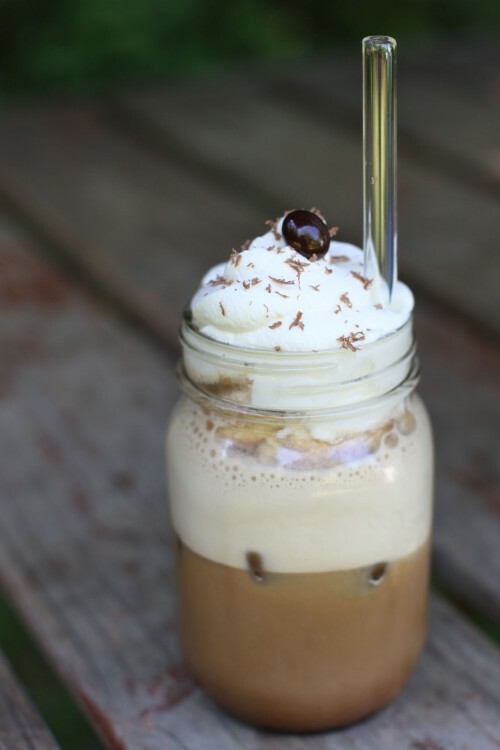 Combine the ice, strong coffee, milk, and sugar in a blender and pulse/puree until frothy and ice is pulverized. 2. Taste and adjust sweetener if desired. 3. Pour into a tall glass or jar and serve with a straw. 4. Optional: Top with whipped cream and shaved chocolate.